At FANUC, we're passionate about automation. Contributing massively to manufacturing efficiencies, automated solutions drive productivity, enhance quality and minimise costs. Everything instructors need to know in order to teach students how to operate a robot. Because FANUC produces the widest range of industrial robots in the world, as well as a vast range of dedicated solutions for motion applications. With 520 000 units installed worldwide, FANUC robots are found in factories and production facilities everywhere. 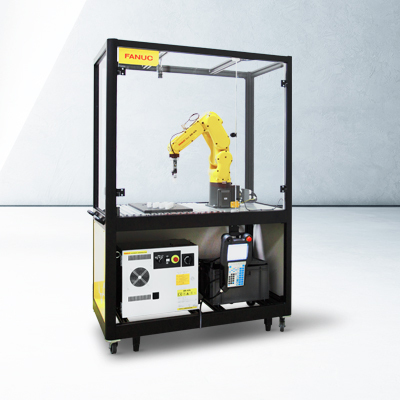 Learn how to program and operate industrial robots the easy way with the FANUC educational package. Contact your local office for more information.